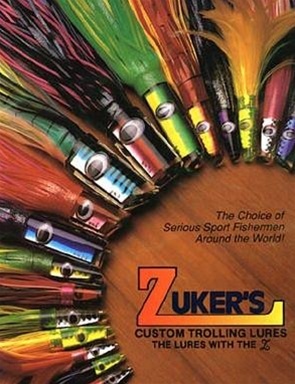 Zuker Lures have proven themselves time-and-time-again as effective trolling lures to catch several species such as Tuna, Marlin, Dorado, Albacore, Sailfish, Wahoo, etc..... These lures should have a place in your pattern. We carry several Zukers Tuna Feathers, Grass Lures, and Marlin Lures.